General Electric (GE) is a household name synonymous to innovation. 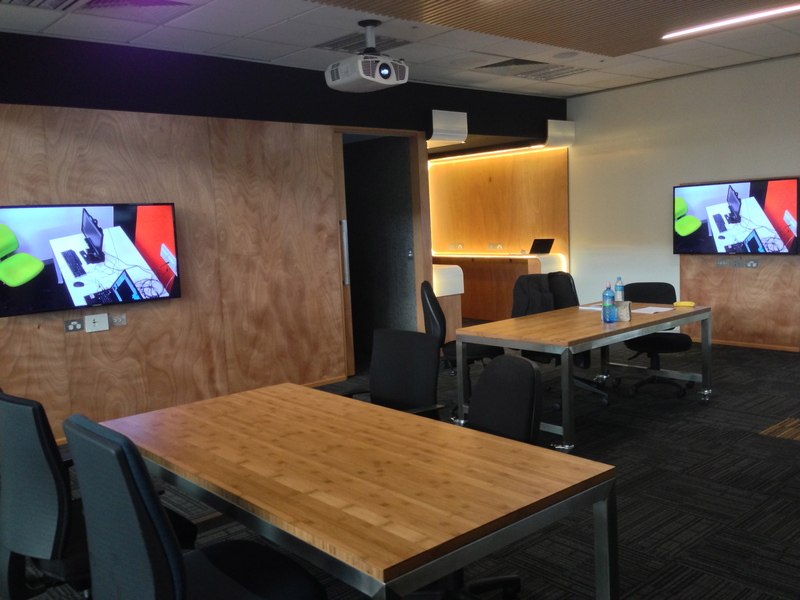 Objective Digital recently teamed up with the User Experience (UX) team at GE Capital in Melbourne to help setup their next-generation eye tracking lab in Melbourne as part of their new UX initiatives. It was a lab that made even our experienced eye tracking consultants drool. So what was so special about the eye tracking setup? 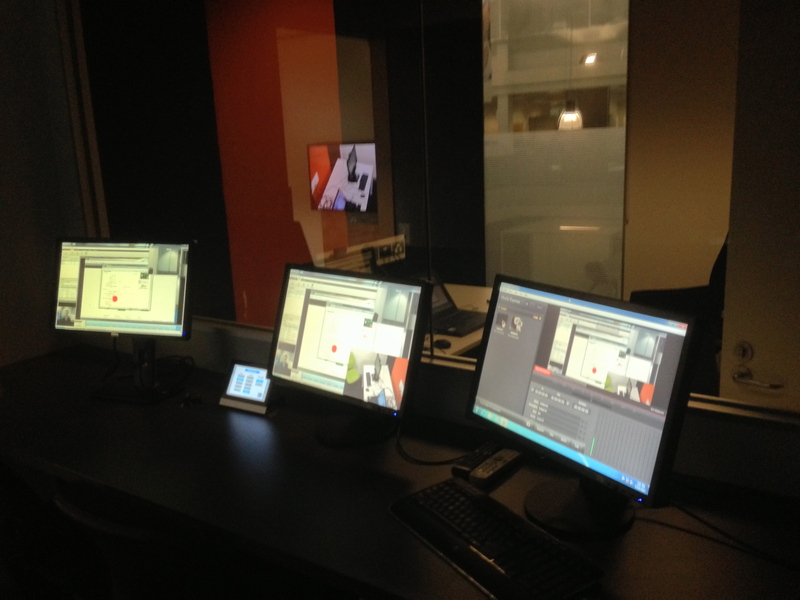 The eye tracking testing lab in Melbourne is where the action happens. This is where the user or customer comes in contact with the product. GE’s brightly lit and spacious testing lab meant that participants would feel comfortable. Since it looked like someone’s office, participants would not have to go too much out of their own normal working environment. Traditional usability testing involves assessing the usability of a product by watching the behaviour of the participants. With the latest eye tracker from Tobii, the X2-30 Compact, GE are now able to see where the customers are looking at. The eye tracker is so portable that it evens fits in your pocket! This results in a drastic reduction in research effect as participants forget that their eyes are being tracked and display their natural behaviour. GE Capital also have a Tobii Mobile Device Eye Tracking Stand. 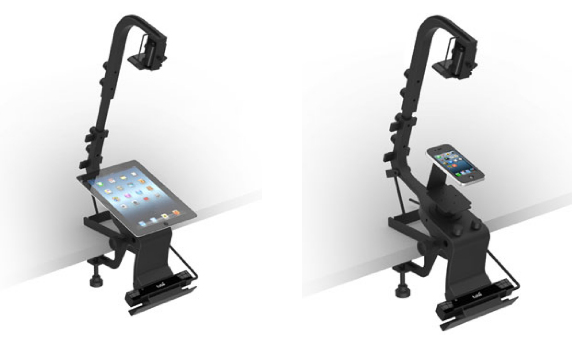 For eye tracking mobile apps. It looks like this. Tobii’s eye tracking software, Tobii Studio allows seamless and simultaneously eye tracking and recording of the participant’s activities. Showing a real user talking about your product (e.g. how they didn’t notice a call to action or couldn’t make sense of the information on a page) is the easiest way to convince stakeholders of the value of usability testing and the importance of improving the design. the fly-on-the-wall view of the testing lab to observe the things participants usually point at on the stimulus using their fingers. Observers also had a choice of viewing the eye tracking session through a one-way mirror in the adjoining room (think CSI!). The room also had a live recording software which synced all video inputs into one. GE’s massive observation room also doubled as a collaboration room where designers, developers and other stakeholders can participate in rapid iterative design workshops while watching the usability sessions. This means that design changes can happen on-the-fly without having to wait for the findings to be analysed in detail and the big fat report to be produced. Both GE and Objective Digital are excited about their eye tracking lab in Melbourne and looking forward to the new innovations coming out of GE. 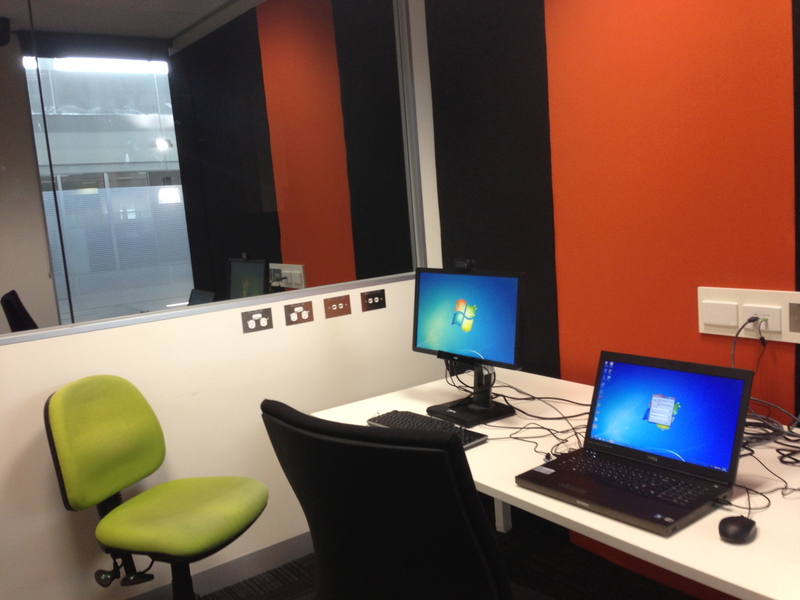 How has your experience been setting up a usability lab in your company? We would love to hear from you in the comments below. 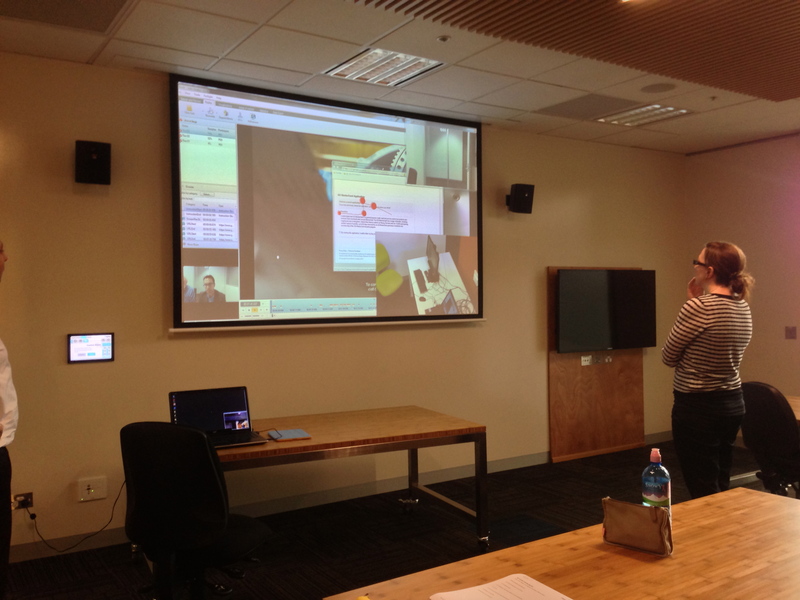 Feel free to get in touch if you want to have a chat about setting up Tobii eye tracking usability labs in Australia, New Zealand or South East Asia. 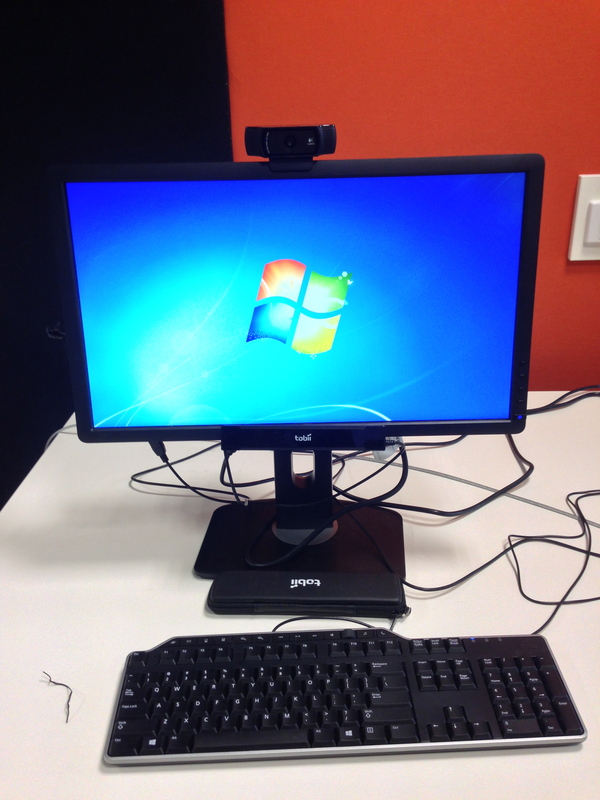 This entry was posted in Customer Experience, Eye tracking, Mobile eyetracking, Objective Digital, Usability testing, User research and tagged Eye Tracker in Melbourne, Eye Tracking, Eye tracking Lab Melbourne, GE, GE Capital, General Electric, Tobii eye tracker, usability, usability lab, user experience by Nirish Shakya. Bookmark the permalink. Nirish is a User Experience Consultant at Objective Digital. When he’s not designing experiences for his users, you’ll find him completing missions on the latest stealth games on his PS3, testing his wife’s patience.